Conveniently located in downtown San Diego, and 1.4 miles from the San Diego Convention Center, our Smart Video Studio is the perfect location for filming interviews or segments with your out of town guests. It is convertible into a variety of looks for video or photography. 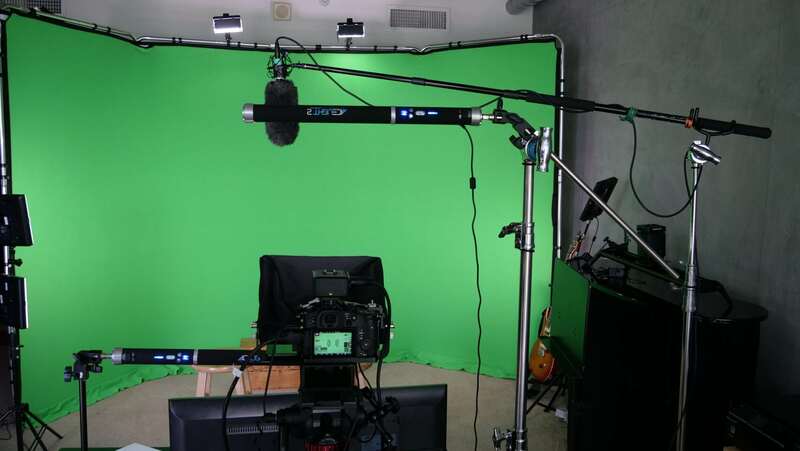 This video studio is geared for small to medium productions looking for a comfortable location to film or photograph on green, white or black backgrounds. We even have a gray concrete wall if you want an industrial look. The video studio is 600 sq ft. Use our matching 4K cameras and support gear or bring your own. We also offer Live Streaming services with instant green screen keying and 2 camera switching. Utilizing our high speed internet, the stream can be sent to Facebook , Youtube or any other streaming service you would like to use. The video studio is the perfect size for recording Corporate Interviews, Content Marketing Videos, YouTube Video Productions, Product Instructional Videos, Kick-Starter Videos, Self Tape Auditions and Pre-roll and Post-roll advertisements. You can even host your own talk show or film parts of your webisode with our green screen technology. Smart Studio comes equipped with 2 Mac video editing stations, 750Mbps upload and download speeds, wifi, phone chargers, Apple TV, iPad and various monitors. Creature comforts include a beautiful view to the east, balcony, rooftop terrace, as well as free coffee, and water. Contact us today if you are looking for an affordable, client friendly video studio in San Diego at 619-549-3003. Smart Studio is convertible with a variety of backgrounds available including green screen, white screen, black screen, gray concrete wall, cityscape and more. You can also bring your own backdrop. Our Video Studio in San Diego offers professional gear and a professional atmosphere for filming and editing your video project.